We are excited to announce the global availability of DocuSign integration with Dynamics 365 for Talent – Attract. DocuSign is widely regarded as one of the market leaders for electronic signatures and is accepted in over 180 countries and supported in over 40 localized languages for signing experiences. 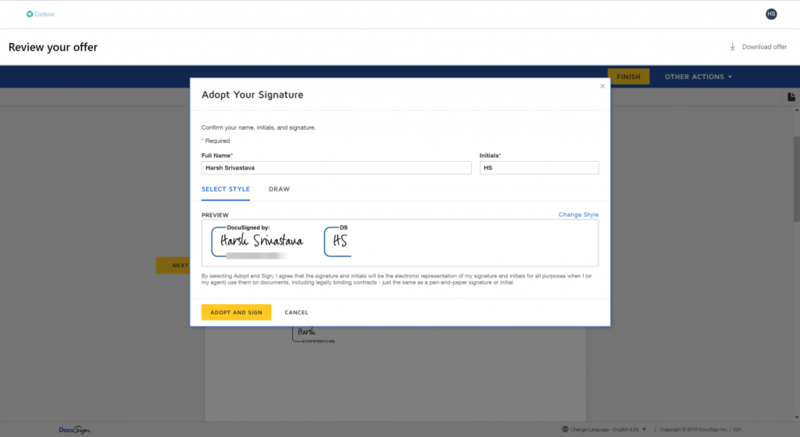 Attract administrators can now choose DocuSign as the preferred electronic signature provider and offer creators can easily connect their DocuSign accounts with Attract to create and send offers using DocuSign from Attract. Candidates can simply log in to their candidate portal and sign their offer packages electronically. With DocuSign, organizations can also track the entire audit history of when the offers were sent out and viewed/signed by the candidate along with a host of other signing configurations offered by DocuSign. To set up DocuSign with Attract and other offer management capabilities, please click here. 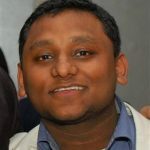 If you have any feedback or ideas for how we can improve the product and its capabilities, please submit an idea here or leave a comment below.